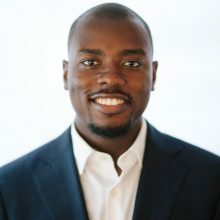 Funlola Otukoya currently serves as Africa Advisor at Concordia where he focuses on strategy, partnership development and program implementation for the Africa vertical. Previously, he served as Investor Lead at CDP, an organization focused on ESG integration into the financial markets as it relates to climate change, water scarcity, and soft-commodity deforestation. As Investor Lead he worked with endowment funds, investment banks, private foundations, and impact investors, among others on encouraging S&P 500 disclosure on environmental matters and using that data for business decisions. He also launched a sustainable infrastructure financing tool for cities, states and regions. Funlola’s background involves working in Derivatives and Investment Banking at. Funlola’s civic and nonprofit activities include the Advisory Board for Entrepreneurship at Cornell University, a NationSwell Council member, Co-chair and founder of the Debra Saunders-White Foundation in Durham, North Carolina, and is a member of the Robert S. Brookings Society. He was recognized as an Emerging Leader at the Atlantic Dialogues in Marrakech and has been selected as an Emerging Leader recipient from the Yale School of Management. Funlola graduated from Cornell University.